The first poll since Tuesday’s primary election gives Democratic gubernatorial candidate Tony Evers a five-point lead over incumbent Governor Scott Walker. 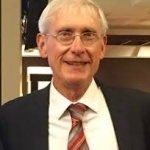 The Public Policy Polling survey shows Evers with 49-percent support, Walker at 44 percent and seven percent undecided. The Evers campaign claims the poll is a sign that Wisconsin voters are ready for a change. A Walker campaign spokesman says they’re preparing for a tough race. Forty-six percent surveyed said they approve of Walker’s performance and 50 percent disapprove. Two polls taken before the primary also showed Evers leading Walker. The Marquette University Law School survey of Wisconsin voters will be released next week.